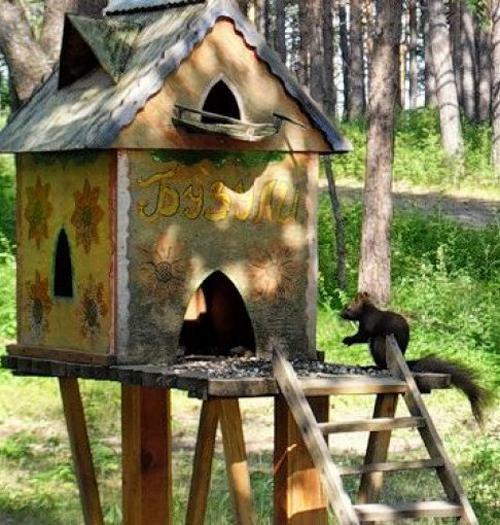 Simple squirrel house designs offer fabulous opportunities to create useful things while recycling wood for DIY projects that help the nature. Creative house designs make beautiful yard decorations and gifts for family members and friends. 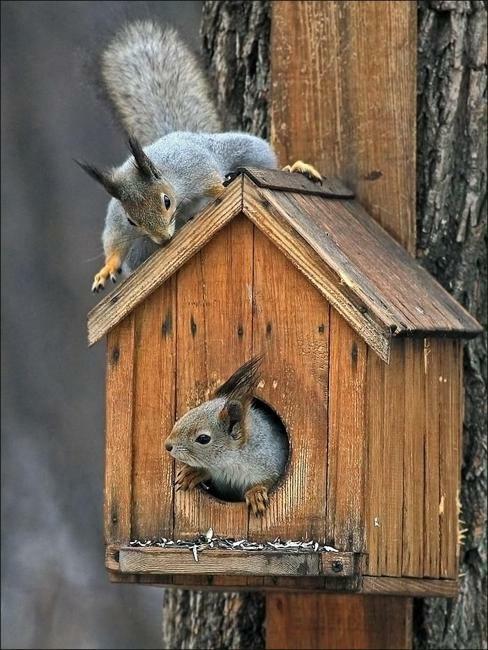 Small houses for birds and squirrels are an excellent way to protect animals in winter and preserve the natural environment. 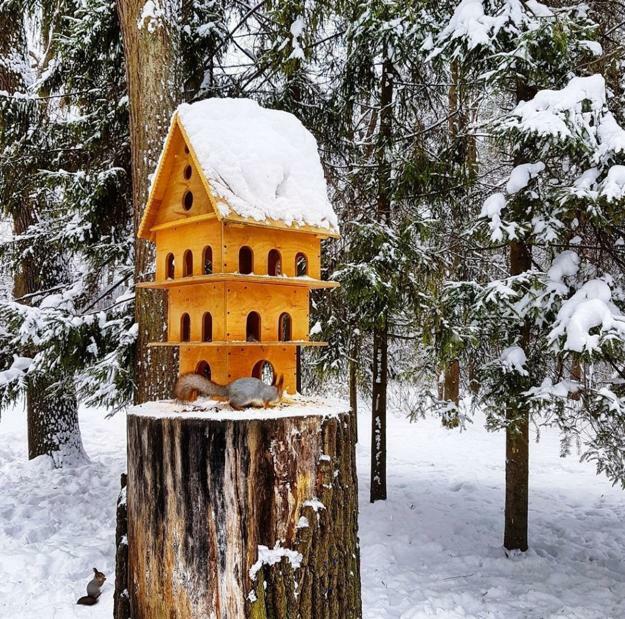 Wooden house designs are simple DIY ideas to create fun places for feeding the squirrels and birds around your house or in your local park. 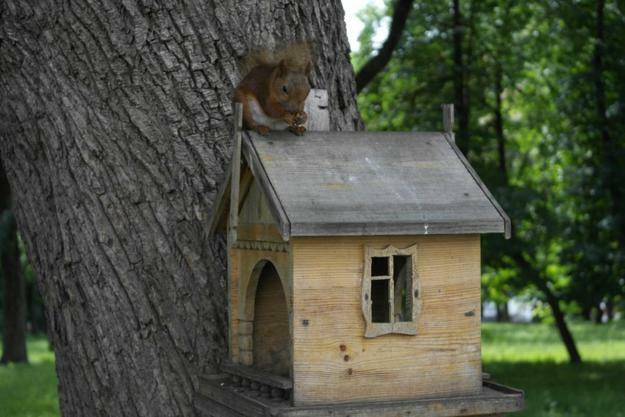 A small house with food for squirrels is a great thing to build in fall. 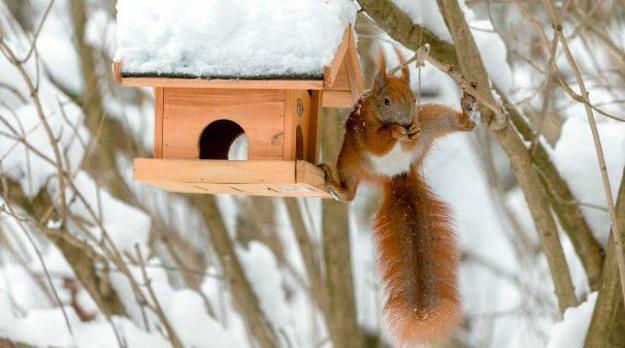 In winter squirrels raid bird feeders because they have to eat too. 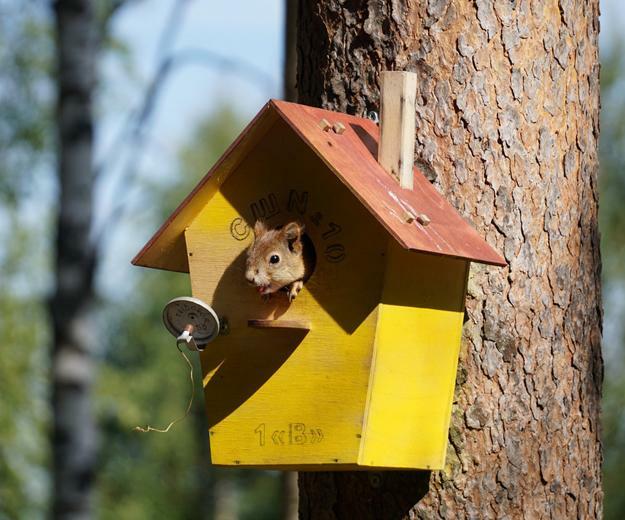 DIY birdhouses and bird feeders are the favorite ideas for outdoors. 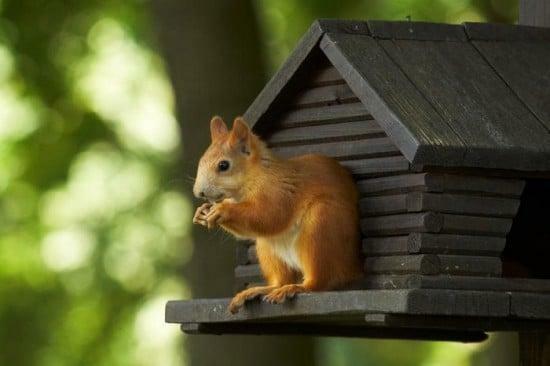 Let’s add squirrel houses to protect these animals and birds. 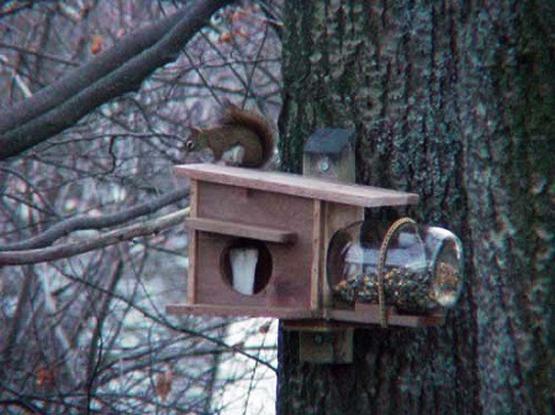 The thing is that once the squirrels are gone, the songbirds will be the target of animals up the food chain. 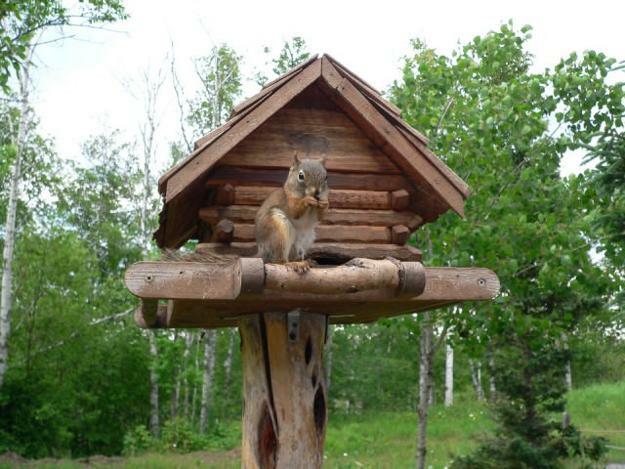 Raptors, fox, and bobcats depend on squirrels and rabbits as a food source. 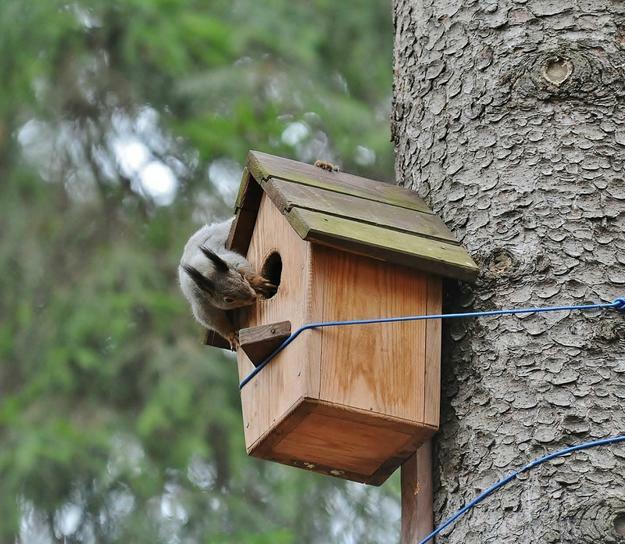 The lack of squirrels across the countryside can explain why hawks and eagles started to hang-out in the cities. 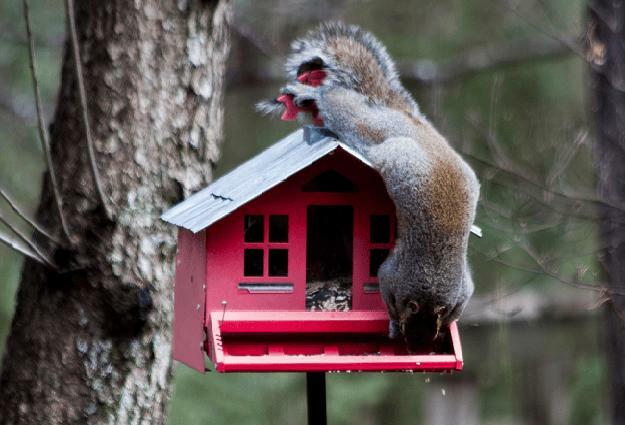 If this trend continues, there may come a day when squirrels disappear. 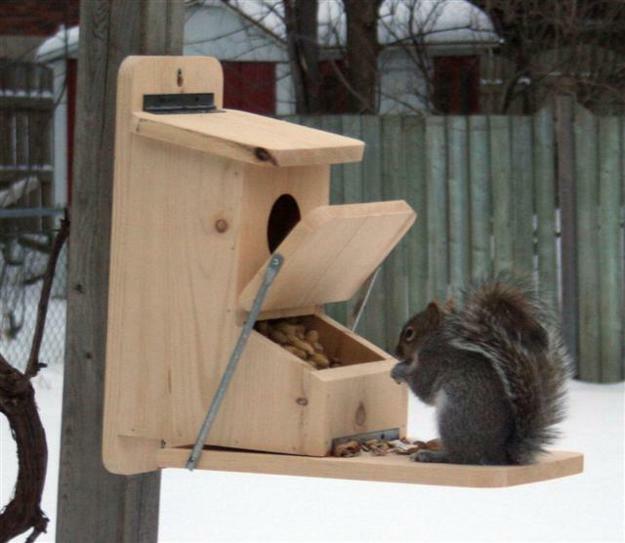 If the squirrels go, so will every element of the food chain. 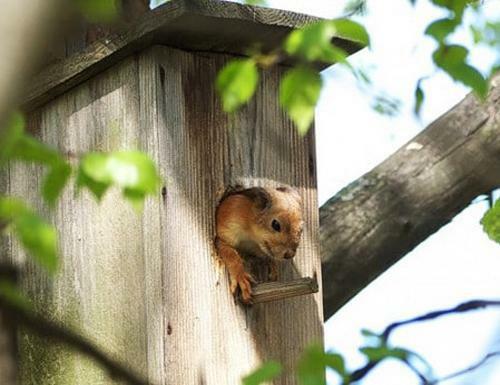 Squirrels give birth in late February and March. 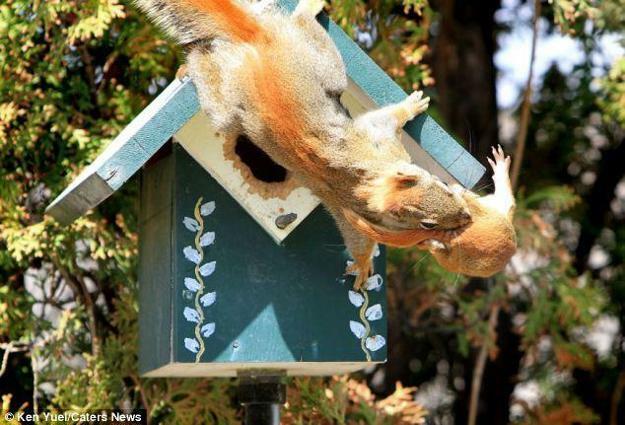 The animal needs to eat well to produce her milk to feed her baby and have enough energy to defend her baby from predators. 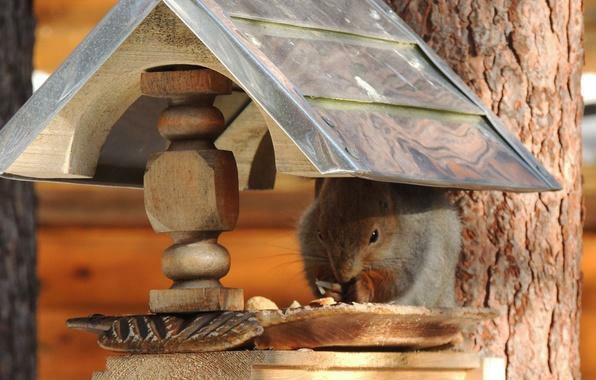 Winter and spring are hungry times for animals and birds. 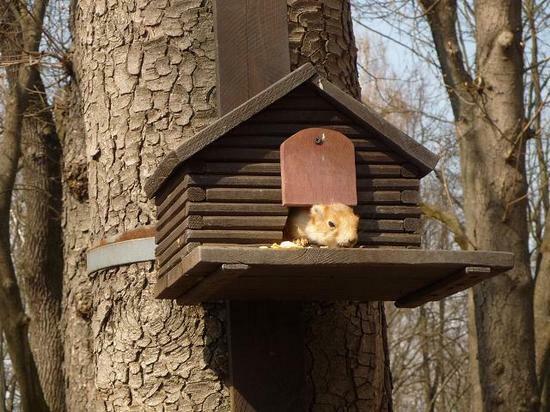 Building small houses will help squirrels and birds to survive the cold seasons. 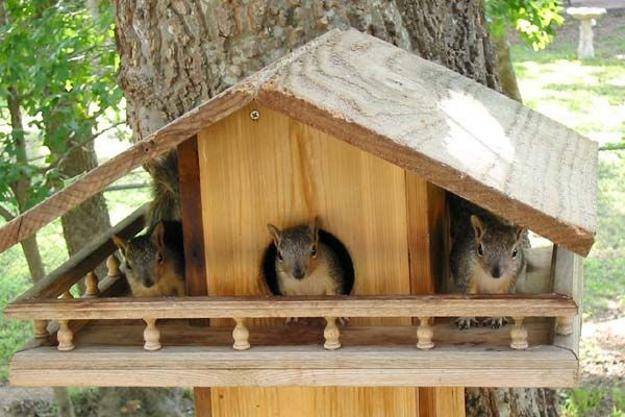 A healthy population of squirrels improves the environment, providing a happy life to all animals and birds. 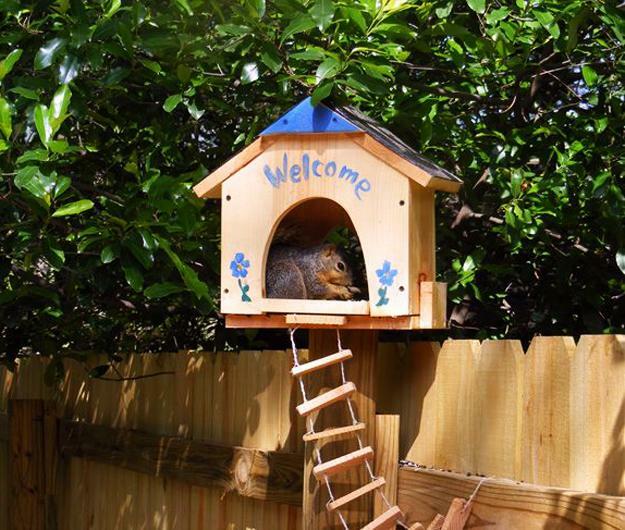 Beautiful house designs for squirrels help protect these animals and add attractive yard decorations to outdoor living spaces and local parks. 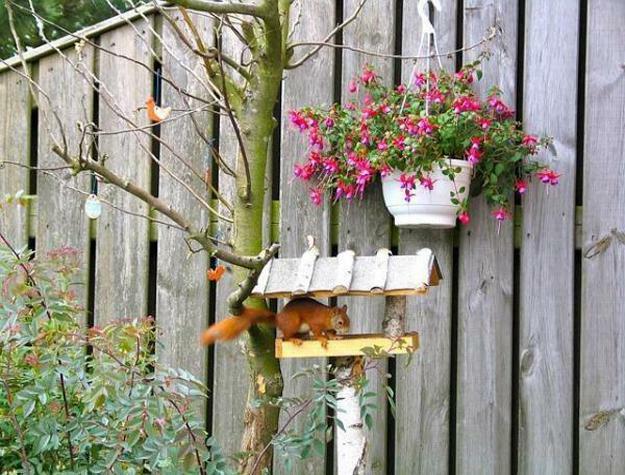 DIY house designs look amazing on fences and trees. 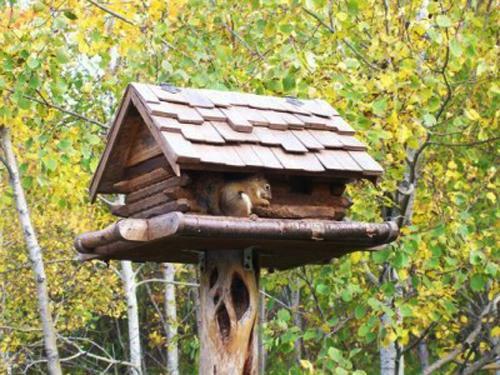 Squirrel houses are excellent eco-friendly gifts also. 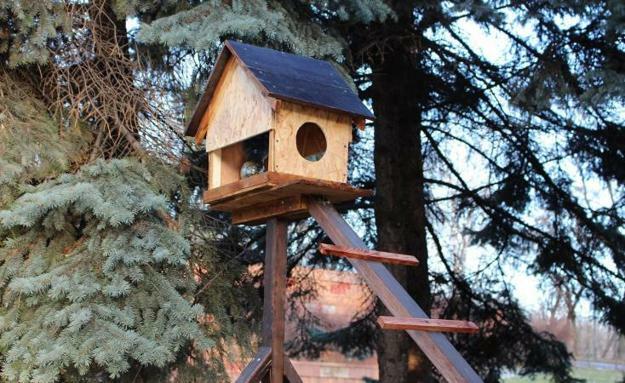 Creative and original house designs give individuals fabulous opportunities to participate in the rewarding, fun activities while decluttering homes and recycling wood. 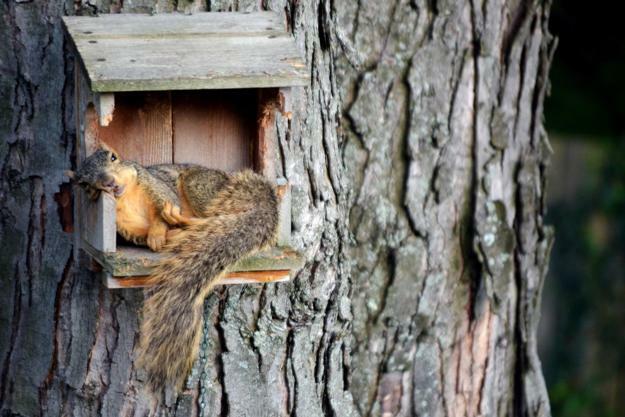 Watching happy squirrels in their natural environment is another plus.